Students can receive the homeschool enrichment and supplemental instruction they need at The Beekman School. Homeschool learners often have difficulty enrolling in AP classes, IB subjects, and foreign language courses. They also may want to engage in hands-on learning experiences, such as those found in a science lab. These students benefit from the homeschool enrichment programs available at our private high school. We offer experienced, knowledgeable instructors in all subjects and encourage students to expand their understanding through practical application. Our enrichment courses provide remedial to advanced level instruction. Classes cover the core subjects, as well as specialized areas. Our New York school with small classes or one-to-one instruction is the ideal place for homeschool students who want a friendly learning environment, with flexible programs that truly reflect a personalized approach to education. 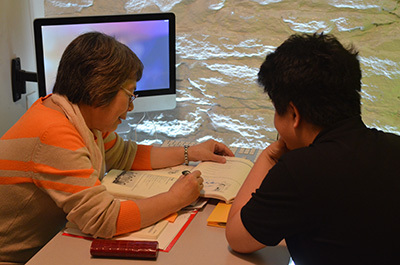 We provide year-round enrollment for students who wish to build on their foundation of knowledge through rewarding homeschool enrichment classes in New York City. One-to-one or small group instruction within our Tutoring School programs can help students reach their desired benchmarks. Our programs for homeschool enrichment in NYC include individualized preparation for standardized tests and guidance with demanding high school curriculums. At The Beekman School, we cater to student needs with flexible hours of attendance as we offer homeschool students the opportunity to participate in classes where a group environment complements learning. Our catch-up andaccelerated programs for high school students motivate all styles of learners to embark on a path of success.